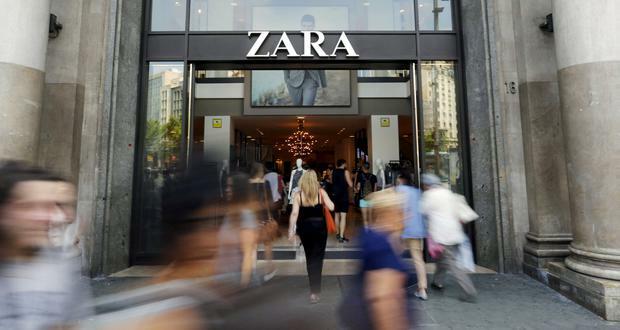 Last week, Inditex, the Spanish retail giant which owns Zara announced profit growth of 3pc, which, 10 years ago, would hardly make headline news, but in 2019, when retailers are crashing at an alarming rate, it prompts pause for thought. Inditex owns Pull & Bear, Bershka and Massimo Dutti, among others, but the undoubted jewel in its crown is Zara. Its attainability has long been at the core of its long-standing dominance in the cut-throat retail market and its styles transfer universally, attracting shoppers from royals like Kate Middleton and Spain's Queen Letizia to the girl next door. As Instagram tightens its grip on the youth market, which expects teenagers and younger women in particular to embrace a copycat culture, Zara is using this practice to its advantage. Last year, the brand significantly overhauled its digital department, putting more of a focus on online sales, while simultaneously investing heavily in its brick-and-mortar stores. In 210 of its biggest selling stores, mostly in the US and continental Europe, it launched augmented reality experiences allowing customers to see models wearing the clothes they've chosen via sensors. It was a dream marriage of the appealing ease of online shopping with a modernised in-store experience. Shopping patterns are changing - as we see with the near-monthly announcement of former retail behemoths being forced into administration - but Zara is a business which places the customer at its core. Its products are appealing, yes, but it is no better or worse than competitors like H&M, Marks & Spencer or Mango. So how is it so good at standing out from the crowd? Mainly by offering a fast, quantity-rich response to trends dictated by the big fashion houses, and it has it down to an art. Last year, Zara released tan leather sandals for €29.99 in a style similar to a pair made by high-end brand Hermes, which sold for €480. The sandals sold out almost instantly and generated enough buzz for Zara to repeat the style again this spring/summer. Unsurprisingly, there's already a waiting list for the next delivery. It is particularly adept at its marketing strategy, carefully choosing which hero pieces are inspired by runway shows during fashion week (like the feather embellished robe first seen at Prada last summer) instead of adopting a one-trend-fits-all model and rolling out duplicate after duplicate. While fast-fashion brands like Boohoo and Missguided react to Kim Kardashian-inspired looks within a few days, Zara will roll out their looks a full season later, like a real designer. Its customers are part of the experience, and building brand loyalty through these tactics is a key to its endurance as a market leader. And unlike smaller designers like Issa, which crumbled under the weight of trying to cope with global demand after Kate Middleton wore its royal blue wrap dress announcing her engagement in 2011, Zara thrives in this type of reactive environment. On social media, bloggers and fashion influencers are also taking a step back to evaluate their #OOTD strategy. On the one hand, they want to showcase their frugality with on-trend high-street buys, but on theother hand they require cheaper clothing in order to allow their black Givenchy Antigona tote to be the focal point of a picture. Both of these are opportunities for Zara to shine. A bargain in Zara is one which is shouted from the rooftops and its response to sell-out stock in the form of waiting lists and email sign-ups allows the pattern to continue. It doesn't have quite the same effect as, "Thanks hun, Penneys", but it's not far off. It retains its identity as a mid-scale store with designer look-a-likes aplenty mixed with respectable basics for reasonable prices. These days, simple, solid colour tops are hard to come by. Today, labels prefer signature designs, fabrics and styles to stand out on social media and in real life, but Zara understands that no day is the same for any woman, who requires an arsenal of clothing hanging in her wardrobe. Last year, I was on holidays in Istanbul and I was wearing a black floral bomber jacket I bought in Zara back in 2016. As I walked past a restaurant, a man asked confidently, 'Zara?' He said he used to work as a designer there and seemed genuinely thrilled to see it in real life, two years after it was on the market. That same jacket is one I joined two different waiting lists to get my hands on after seeing someone share it on Instagram. Such is the cult of Zara, that more than one colleague of mine owns it as well and we have been to known to double up on it in the office. So, what's the secret to its success? The effective model it has built over the last 44 years. It's just that now the rest of the world is noticing. Caitlin McBride Cara Delevingne and Penelope Cruz led the finale runway in what was Karl Lagerfeld's final collection for Chanel.